'What's in a name; a rose called by any other name would smell as sweet' is what Shakespeare said centuries ago. But back in the tiny Malihabad town in the hinterland of Lucknow lives a man who was trying to re-write the old saying. 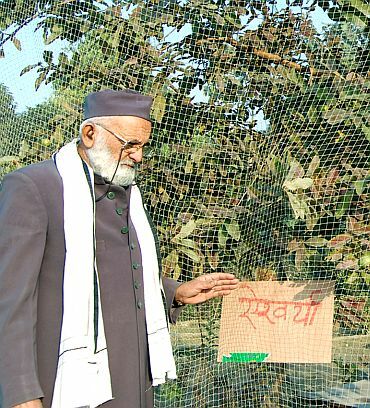 While naming a special genetically-developed variety of guava as 'Aishwarya', 71-year-old Kaleemullah Khan is out to prove that no other guava could be as beautiful or sweet as his 'Aishwarya'. 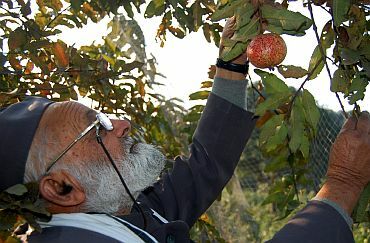 "I have no hesitation in confessing that the name I have given to this particular guava is drawn because of its exquisite beauty; just as Bollywood queen Aishwarya Rai could be aptly described as the ultimate in beauty, so is my guava, which I took nearly eight years to develop", Kaleemullah tells rediff.com. Asked what prompted him to name his novel guava after the Bollywood actress, Kaleemullah shot back: "Haven't you heard the old saying -- a thing of beauty is a joy for ever -- well! The idea was to immortalise 'Aishwarya' because the fruit is going to live for posterity." And sure enough, people have been thronging to Kalimullah's nursery at Malihabad, north India's most famous mango belt on the periphery of Lucknow, to take a glimpse of this very special 'Aishwarya'. 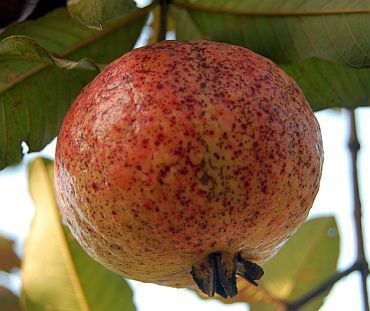 Nearly crimson red with few streaks or dots of yellow, the guava closely resembles an apple, not only because of its sweetness but also because of its unique odour. 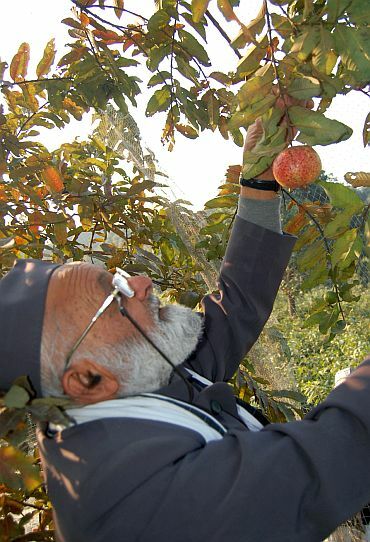 It was no mean task for Kaleemullah, who was better known as creator of exquisite varieties of mangoes for which he was also awarded the prestigious Padmashree. He won many accolades for creating 300 varieties of mangoes of different shapes and sizes on one single tree, which itself was more than a 100 years old. "I began working on it from 1987 and it took me nearly 13 years to develop the craft of growing different varieties on one tree," he said. "Yes, my family has been into mangoes for more than one-and-a-half century. So it was not easy to diversify into any other fruit. But I always love to take challenges. So one fine morning I decided to try my skills at guava and see, I have done it," he exclaims, while pointing towards the first 'Aishwarya' tree he developed. "I never received any training in horticulture nor did I receive any major formal education. In fact I learnt my skills by hit and trial, and of course my own instinct," says Kaleemullah, who does not feel shy of telling you that he was a class VII drop-out. 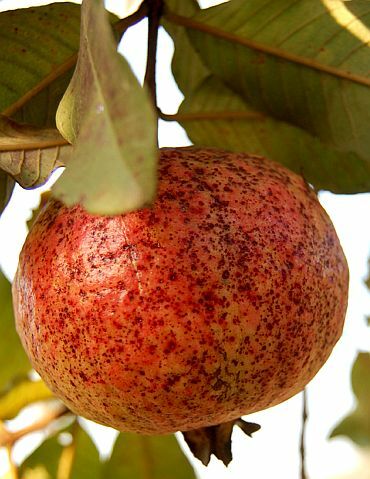 "Unlike the normal guava, Aishwarya has very few seeds and even those are extremely soft, making them conveniently chewable and digestible," claims Kaleemullah. And embarking upon its productivity, he said, "This variety not only bears fruit round the year, but was also high yielding." And with that he proudly pointed towards a tiny guava tree, "See that dwarf-looking tree? There were as many as 72 guavas on that 3.7 foot tall tree until a few days back." Significantly, the architect of the fruit has made it a point neither to use either any chemical fertiliser or pesticide during the entire development process. "Instead of pesticide I use neem-oil, which has fantastic anti-pest properties," he said. However, so far he had been able to create only about 100 'Aishwarya' plants, which were not enough to grow the variety on a commercial scale. But he is confident of doing to do so by 2012. "So far, I have not sold a single plant. But I am pretty sure that in another year's time, I would have more than a 2000 plants ready for a commercial launch of the unique guava," he adds. Asked if had named any of his mango creations after any other celebrity, the septuagenarian horticulturist smiled, "Of course, two years back I named a specially developed mango after Sachin Tendulkar. Besides, three other mango varieties were named after popular Bollywood films -- 'Jahan Ara', 'Naintara' and 'Anarkali'. Of these, 'Anarkali was really unique with not only two layers of the peel but also two layers of pulp tasting different." But he is quick to remind you, "Don't you worry This is not the end of the road. I still have miles to go, so who knows when I develop another new variety and call it by yet another popular name."